Ideal Tax Solution, LLC has discovered the IRS is aggressively targeting identity theft tax fraud perpetrators by doubling the number of IRS deputies in the Tampa, FL area alone. More than 30 officers from 10 state and local agencies were recently sworn in. We go to great lengths to protect any and all information entrusted to us during a tax resolution process. Ideal Tax Solution, LLC is closely following IRS efforts to combat identity theft tax fraud, which continues to grow at an alarming rate across the country and South Florida in particular. Prior to the 15th of March, fewer than twenty-five IRS criminal investigators were assigned to the region, according to James Robnett, local agent in charge of IRS criminal investigations. In a story reported by the Tampa Tribune on Friday, March 15, the IRS is bolstered its identity theft tax fraud unit in a sweeping move to curtail the explosive number of tax fraud cases occuring in the region. Ideal Tax Solution has learned the newly sworn IRS deputies are part of a comprehensive approach targeting criminals who steal hundreds of millions of dollars of federal taxpayer dollars locally, and billions nationwide. Professional tax liability companies like Ideal Tax Solution work diligently to protect their clients from falling victim to identity theft tax fraud criminals. Experienced tax professionals understand the potential for tax refund abuse and are careful to avoid any situations which could jeopardize a taxpayer’s confidentiality. 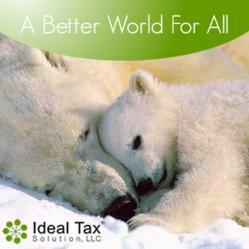 Ideal Tax Solution closely monitors IRS and law enforcement initiatives, which seek to reduce the amount of identity theft tax fraud cases. The following agencies provided officers included as part of the swearing in ceremony” The Florida Department of Law Enforcement, the police departments of Brooksville, Largo, Clearwater, and Tampa, as well as deputies from Polk, Manatee, Hillsborough and Hernando County sheriffs’ offices.